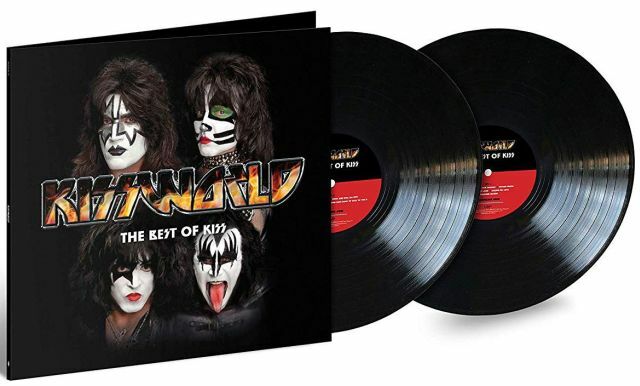 KISS is heading out on their End of the Road tour and the band has released KISSWorld - The Best of KISS to give old and new fans a chance to brush up on their best and most popular songs. I don't know who has the job of picking only twenty tracks out of over four decades of source material, but I definitely don't envy them. Unlike KISS 40, there doesn't seem to be any sort of strategy with the selection of songs. That record featured one song per album and some live tracks. This compilation is a bit more all over the charts and interesting. 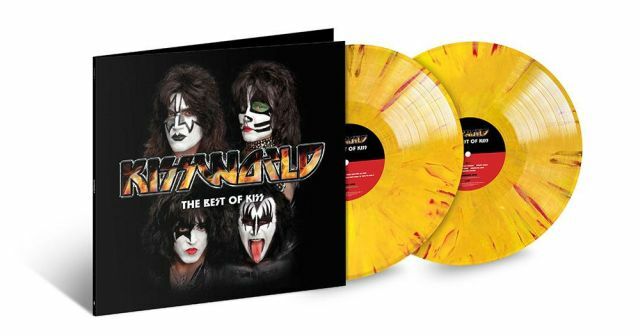 Yes, KISSWorld - The Best of KISS is the same album as the one that was originally released in 2017 for their tour outside the U.S. However, that was only available as an import and harder to get until now. Every track chosen for KISSWorld - The Best of KISS makes perfect sense as its either been played frequently live throughout the career of the band or was a big hit when its respective album came out and continues to be. The one exception is "I'm a Legend Tonight" off of their Killers import. I was excited to see the inclusion of this rarely referenced song which was only available outside the U.S. when it came out in 1982. It is strange that no tracks on KISSWorld - The Best of KISS are from their self-titled debut album, which contains a healthy does of their most well-known songs. Maybe they felt those songs have already received enough love on their other compilations. Other records which aren't represented here are Hotter Than Hell, Music from The Elder, Creatures of the Night, Hot in the Shade, and Carnival of Souls. That being said, every lineup of KISS gets their moment in the spotlight - from Eric Carr to Vinnie Vincent to Mark St. John and Bruce Kulick. One other point of note is that the versions of the songs presented on KISSWorld - The Best of KISS are directly from each of their respective album. With the album cover featuring Tommy Thayer and Eric Singer, I figured the re-recorded tracks from their KISS Klassics collection would be used. The tracks do sound re-mastered, spruced up, and normalized for volume control to make the sound consistent since they were recorded by different producers in different studios over four decades. KISSWorld - The Best of KISS is a great starting point for a KISS Army member to hand down to a potential new fan of the band. There's something from every stage of the band's lifespan. 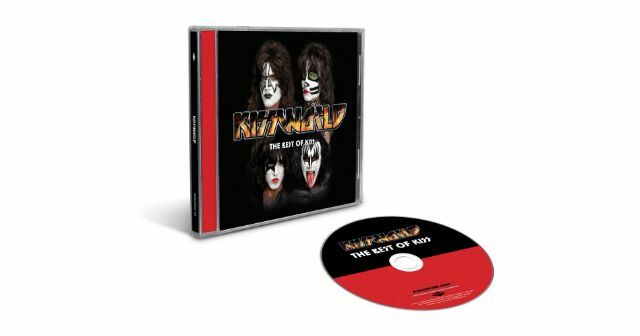 It's a striking blend of songs from their days in makeup to the ones without - from the past to their most recent with Tommy Thayer and Eric Singer. You can get KISSWorld - The Best of KISS right now in CD and digital editions. Colored and black vinyl versions of the album are being released on March 29th. 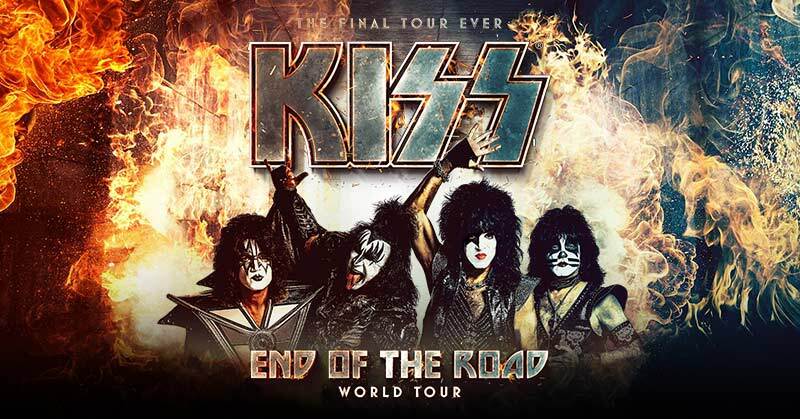 Don't miss your chance to see Gene Simmons one last time on KISS's upcoming End of the Road tour. It will be the band's last worldwide outing and kicks off on January 31st in Vancouver, Canada. If you've never seen KISS live, you owe it to yourself to see the Greatest Rock Show on Earth. You can get tickets to shows right here.